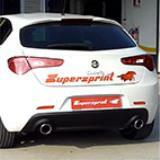 The exhaust system for ALFA ROMEO GIULIETTA 1.4 Turbo Multiair (170 Hp) is composed by a turbo downpipe kit with or without a metallic catalytic converter, a connecting pipe, a centre section (available in resonated or not resonated versions) and a rear exhaust. 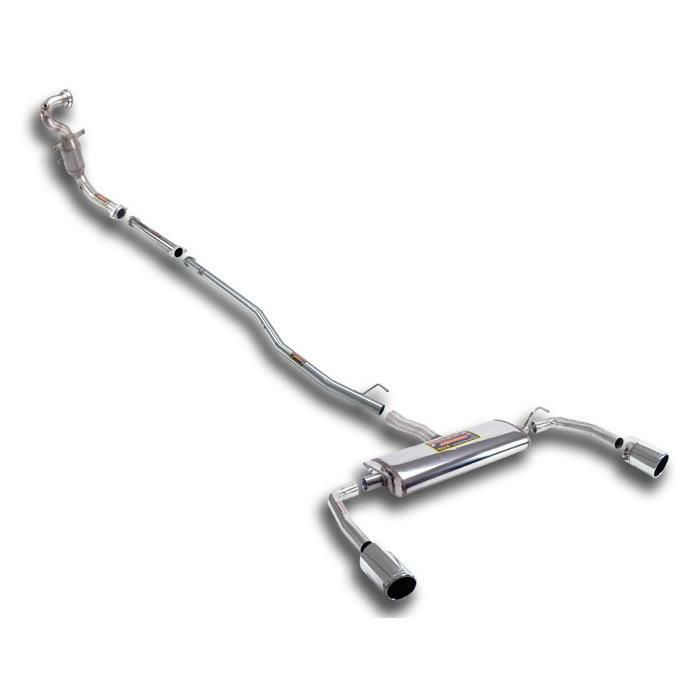 The catalytic converter, as in the Supersprint tradition, is replaced by a HJS metallic unit with 200 cells per square inch. It's much more efficient and free-flowing but at the same time offers an optimal reduction of pollutant gas. 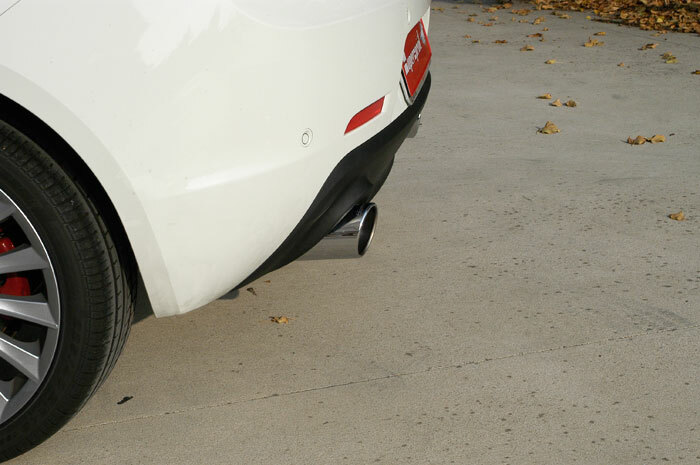 If you're looking only for a more involving and sportier exhaust tone and don't want to replace the downpipe, the "cat-back" setup is recommended. It's composed by centre pipe and the rear exhaust. Following our very long tradition (est.1955), the main target is not to change the nature of the car, loosing comfort in the process, but to make the engine note more pleasant and distinctive, without being excessive, but even more important, to increase the performance. We still offer a louder, more aggressive setup for enthusiasts. 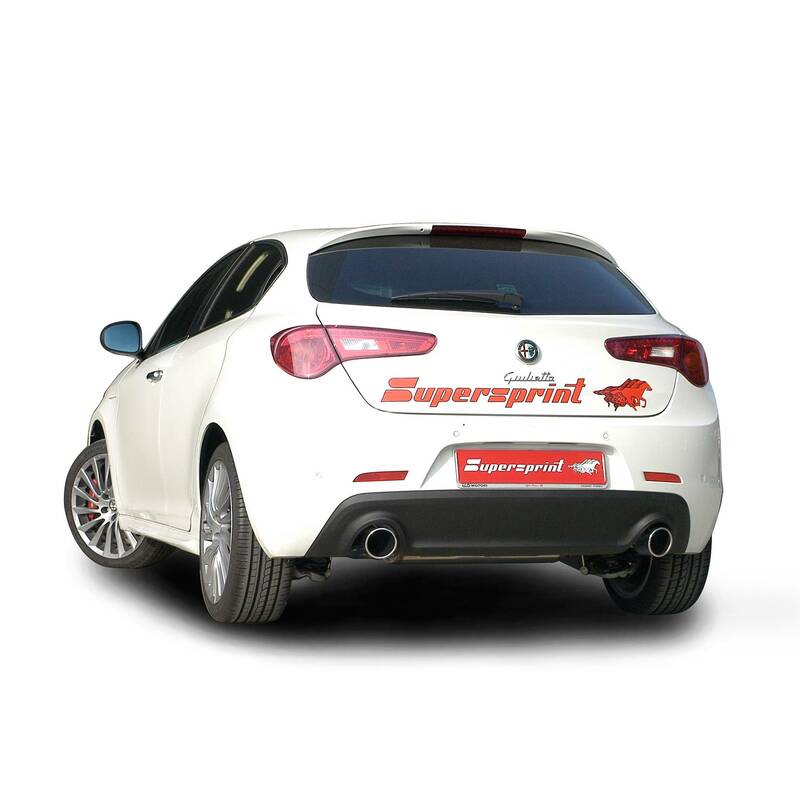 The look is the perfect match of sportiness and class, with rear exhaust available with a 100 mm endpipe on the left side or a two endpipes configuration (one for each side - Giulietta 1750 TBi rear buoer model), perfectly integrated in the bumper line, for a sporty but still elegant result.